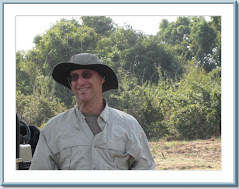 I read an interesting piece in ReadWriteWeb regarding why Web Publishing is changing. It makes some great points about the lowering of the barriers to post, explaining the rise of discovery, and the importance of an easy viewing experience (e.g. the continuous scroll of Pinterest or Tumblr). All fueling an explosion of new sites and probably paving the way for e-commerce to really come into its own. In this paradigm, vertical market players should have an advantage over horizontal platforms, only if they want to concentrate on content quality (and they should want to change this as the content is the ultimate driver of viewers....especially repeat visitors). Quality begets quality, having schlock devalues the brand. At its heart, many sites are vertical market custom publishing systems which become content platforms that address specific markets. Today, much of the content is community curated. This will be complemented via algorithms which understand what is of interest to whom (e.g. personalization via behavior and the social graph). The 'free lunch' of ripping off content from artists will eventually come to an end. Tumblr, Pinterest, et al, will have to reach an accommodation with copyright holders (often independent photographers or videographers). 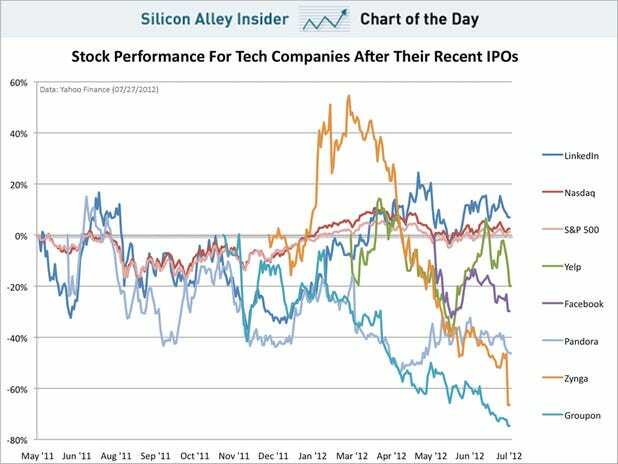 Silicon Alley Insider posted a chart last week showing the dismal performance for the initial wave of consumer oriented social IPO's. There's no doubt that initial public investors, as well as late stage private equity firms are feeling some trepidation. Nonetheless, the comparison with the market collapse of internet stocks around 'the bubble' of '00-'01 is just not applicable. The other day I was speaking with the CEO of a company, where I sit on the board of directors. We were reviewing the three key issues, and the resources which he's applying to solve the issues. Interestingly, one of the points he raised was that he would like to hire a senior officer to handle the 'small market' opportunities which the team has decided are worthy to pursue. 'Small market opportunities?' I asked, while raising my eyebrow and voice an octave. 'Yes, small market opportunities', he replied.. He then launched into a deeper explanation. As a sub $100mm fast growing company in a rapidly transforming industry, he sees the best shareholder wealth opportunity is around participating in markets as a leader. At our size, that means entering markets while they are small, without large competitors, or for that matter entrenched competition. Today, the company sees 3-4 areas which today are still small but each has the potential to positively explode. We just don't know exactly when, or for that matter if, but if they do, then we will be a market leader in another exciting related market. Not too dissimilar from the venture business where a portfolio of small bets hopefully leads to a few large winners.